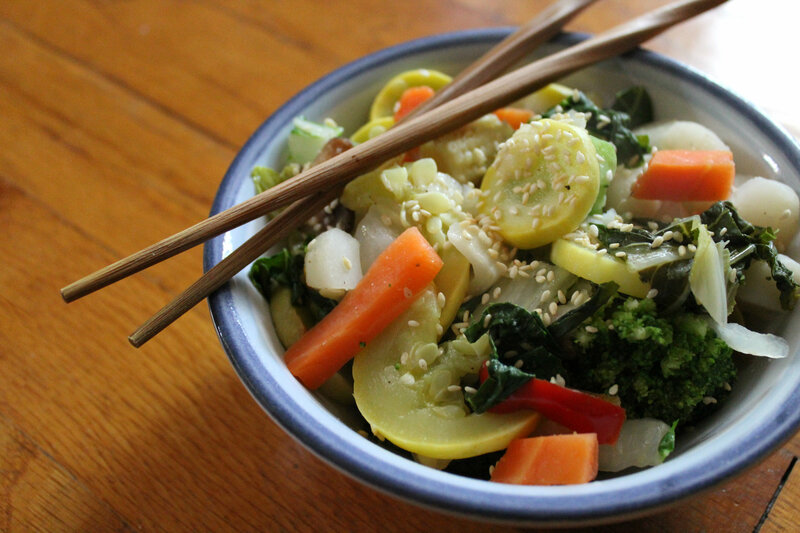 The healthiest way to eat “cake” for breakfast! Carrot cake quinoa flakes are packed with plant-based protein, gluten-free, and vegan. Best yet, this carrot cake porridge recipe can be made in less than 2 minutes! Hey guys! How has your week been? Mine was short, I am already done! (Thank you NJ Teacher’s Convention) 4 day weekend here I come 😉 So my week was pretty easy, we didn’t do much in school and I have nothing urgent to study for this weekend. I got in some good workouts so far this week. Group Power, HIIT, yoga, and strength circuits. I also did some really awesome eating and have tons of ideas and recipe development to try out during this long weekend. Excited! 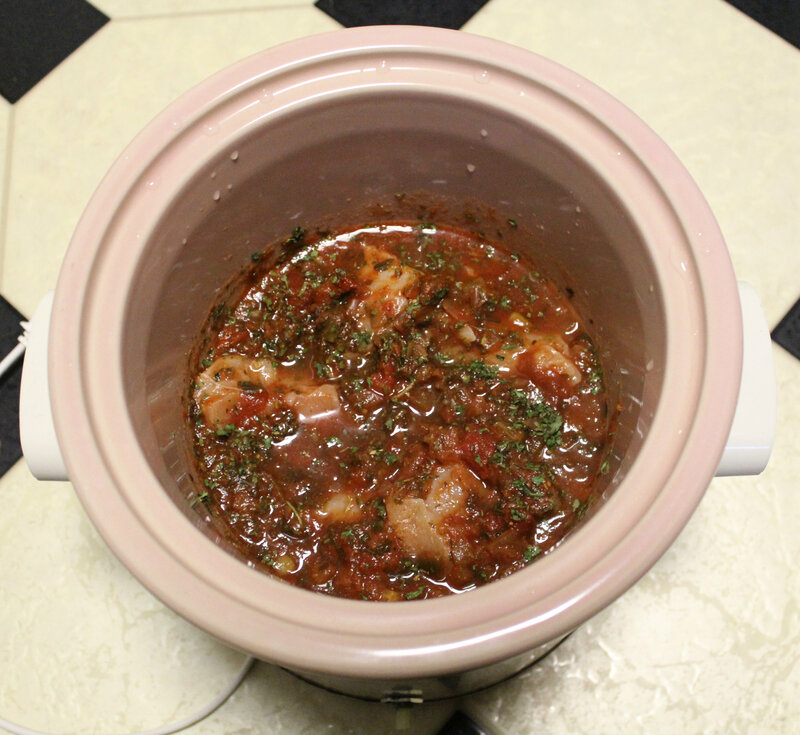 Last night I had some salsa crockpot chicken I threw together Wednesday morning. 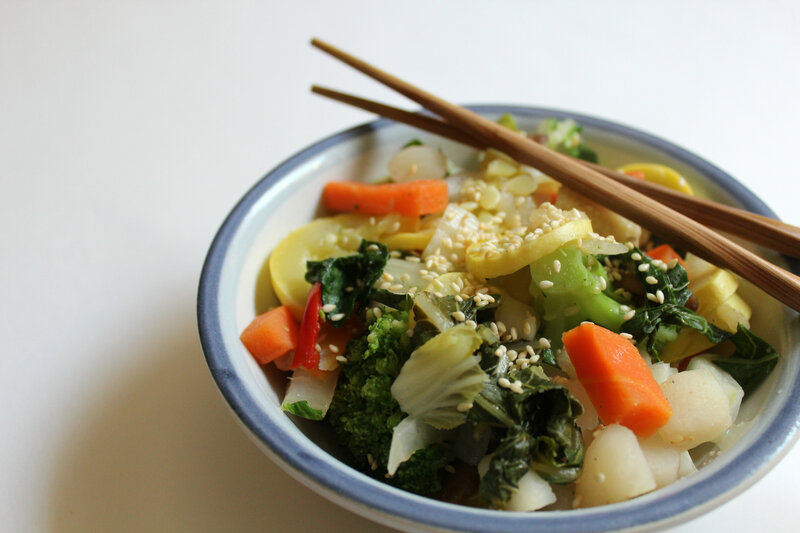 When I came home from school the house smelled so lovely I could not wait to eat dinner! And now I can’t wait to share the recipe with you next week 😉 It was so delicious, moist (hate that word, but it is the only one to describe it! ), and not so spicy that I killed my stomach which I was worried about. I also had a micro-baked sweet potato with cinnamon, unsweetened shredded coconut, and peanut flour! Best dinner thus far this week 🙂 But don’t fret! 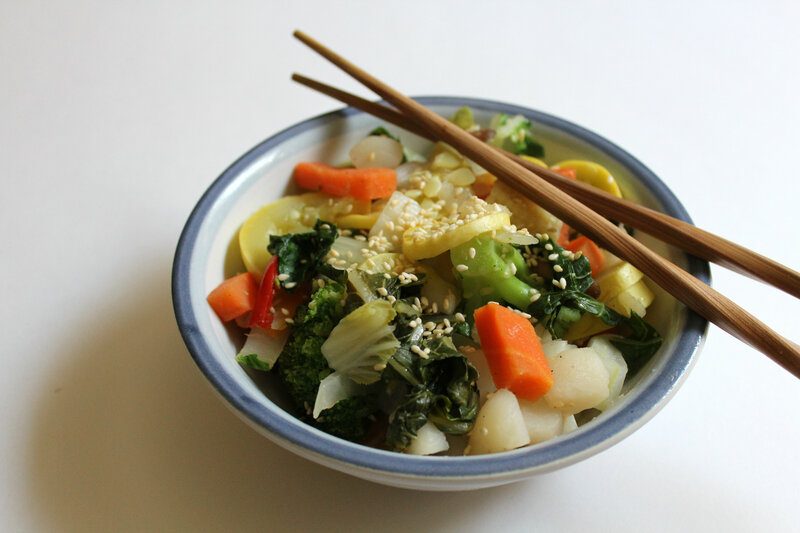 I do have a fun new Quinoa Flake recipe to share today! Behold, Carrot Cake Quinoa Flakes! In a microwave safe bowl add all you dry ingredients and stir, then add the shredded carrots, carrot puree, water and vanilla, stir again. Pop the bowl on high for 1 minute and 45 seconds (or 2 minutes) in the microwave. Remove and garnish it up with coconut, some extra carrots, and cinnamon. I received two free weeks on MyYogaOnline.com for following them on Twitter but it is totally going to waste. I tried to find a video for my Sunday and Tuesday yoga sessions and both times were a complete fail. I look for a power vinyasa type of class and I can not find any good ones! I started a few videos and would get like 10 minutes in and then have to turn it off and switch to a Fiji video. The videos were all just to slow, not powerful, and just, well, boring. I have one week left and I feel bad wasting it, so if you have any suggestions let me know ASAP! But that is not to say I didn’t have a great yoga session on Tuesday. And by great I mean I cried. Yoga is so powerful and makes you feel so many things. I have cried during many practices, but it always leaves me feeling cleansed by the end of the practice. I am thinking about doing a more in-depth post on this, but I thought I would mention it today as well. So later today I am meeting with the NJ admissions adviser for Wofford College! I reached out to her myself after I sent out my application last week and she said she would actually be in Jersey this week and would love to meet me so we could talk. It should be good since I have not gotten a chance to visit the actual college (its in South Carolina). One last thing! I am extending my ENERGYbits Giveaway to Monday! I have not gotten many entries so if you enter you have a pretty high chance of winning! + What are you up to today? + Have you ever cried during yoga? 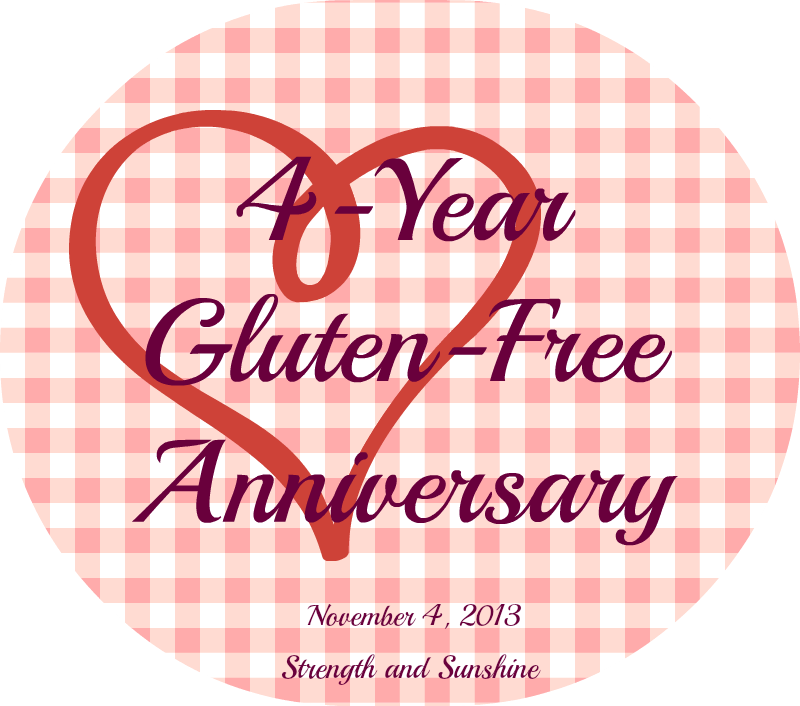 It feels like I have been gluten-free my whole life, not just 4 years! It is so weird to think back and try to remember actually eating any other way. Of course I do remember, but I can tell you I would never go back to eating gluten if there was miraculously a cure to Celiac and gluten intolerance. I love being gluten-free and love that I have been able to enjoy all the wonderful benefits it has given me. I have discovered endless new foods, recipes, and ways of cooking. I have healed my Celiac tummy and intestines (for gluten). 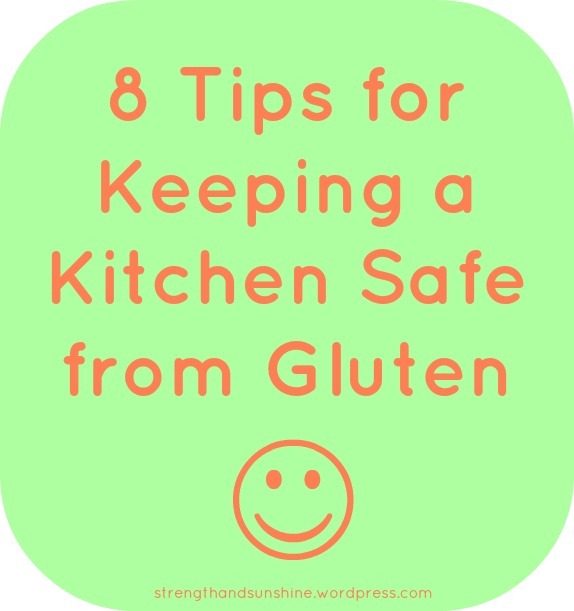 Most importantly going gluten-free started me on my path to healthy living. Ever since then I have been so interesting in food, nutrition, fitness, and health. When you are on a path to healing, you have to become a lot more in-tune with your body and how you treat it. That’s why when people go gluten-free for medical reasons (the right reasons) they do it right and healthfully, not gorging on all the processed products popping up on the market now. Even through these last 4 years the gluten-free industry has continued to grow immensely, and while it is wonderful and awareness is out there, it is also sad to see its portrayal are a fad-diet in the media. I am hoping we can reverse these thoughts, but continue to grow awareness and better living for the real gluten-free(ers). Like the FDA labeling, but there is still so much more work to be done. We are behind countries like Canada who have made allergy awareness and labeling a priority and years ago at that. Come on USA let’s make a Celiac’s life easier! O hey, and there will be the first ever online Gluten-Free Summit on November 11th-17th. It is free to sign up and you will hear from 25 experts in the field, interviewed by Dr. Tom O’Bryan, on gluten related disorders, research, nutrition, and healthy living! It sounds like a good time so sign-up! 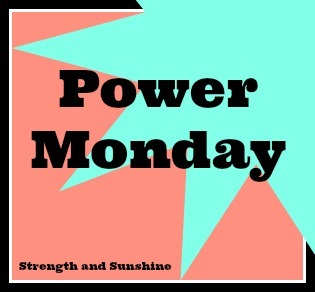 Now, I didn’t forget about Power Monday! In the spirit of wellness, health, and happiness, I wanted to give you guys my review of ENERGYbits (+giveaway) on this wonderful Power Monday! I was tweeting about ENERGYbits for a giveaway on another blog awhile back and they tweeted me back saying they would love to share. So I asked to do my own review on the blog and if I liked the product a giveaway as well. So we emailed back and forth and they sent over a sample for me to try! They are so nice and a wonderful company to work with! Sounds pretty cool right? I thought so. So I decided to give them a try. Not only are they a “super-food” buy they increase energy, endurance, mental vitality, are a high protein snack (1 calorie per tab and they recommend you take 30 at a time), they can curb hunger, balance blood sugar, lower blood pressure, and reduce fatigue. I was a little scared to take all 30 tabs my first time so I stuck to just half and took them 30 minutes before my Group Power class last Monday. I knew I probably would feel the real energy increase since I only took 15 (which you just swallow with water…or you can chew, but they recommend water because they have a very “green” taste if you know what I mean!). So I was more focusing on the other nutritional benefits instead. They didn’t bother my stomach and I felt mentally energized! I don’t know if it was in my head, but I think they do put you in a good mood, haha! And I bet they would be really awesome if you are going out to tackle a long run or crazy workout (and take the full amount). So you have 3 entries total! Remember this is open to US residents only and I will announce the winner via a random number generator on Thursday (November 7th!) Extended to Monday November 11th! One more note! ENERGYbits are only available at ENERGYbits.com, and Jonathan (their Brand Manager) has shared with me that he’d be happy to connect anyone with a current ambassador to share a discount on a bag of bits – you can email him at jlevitt@energybits.com. Have you ever tried ENERGYbits or even Spirulina before? What is you go-to natural remedy for an energy boost? A workout! No matter how tired I am, I always feel 110% better after I start moving around.